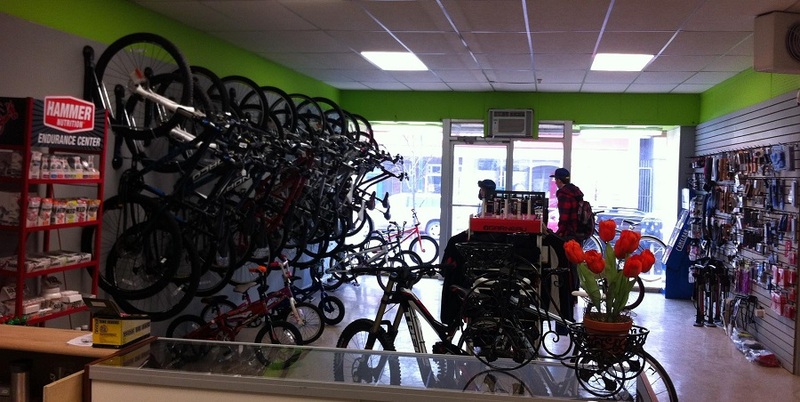 We carry mountain; trail; CX; road; fatbikes; BMX, kids bikes, scooters and skate boards. We stock snowshoes, skis/boots/poles, and winter clothing. We also carry trail running and hiking shoes by Salomon, and stock other hiking necessities such as clothing, gaiters, etc. Want something that’s not on this list, or in the shop? We can probably order it in! Come talk to us and we’ll see what we can do.